We conclude this year’s App of the Month blog series with December’s App of the Month: Simcoe County Maps. Learn how the County of Simcoe developed this app to replace their existing web app and provide users with a mobile-friendly, lightweight tool that is customized to their needs. As the year comes to an end, many of us may start thinking about our New Year’s resolutions – things that we want to improve upon in the year ahead. It’s always a great idea to take a step back to reevaluate and plan for improvements, and that’s exactly what the County of Simcoe did with their current web mapping application, Simcoe County Maps. The County wanted to replace their customized web app with an app that would deliver even better functionality. 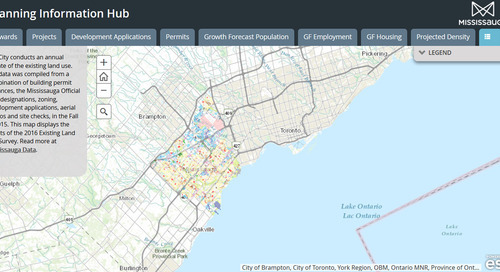 Simcoe County Maps is a new and improved online web app developed by the County of Simcoe GIS team. It includes over 75 unique datasets and enhanced, customized functionality. Initially, the County implemented their interactive web app to move away from desktop clients and give their users a lightweight, faster and easy-to-use tool that was customized to their needs. They accomplished this by implementing a customized ArcGIS for Flex app. The app, however, was only accessible via desktops. In support of continuous improvement, the County decided to take the next step and deliver an enhanced web mapping experience to their constituents. They wanted users to be able to access the app on whatever device or technology platform they use, without diminishing the app’s functionality. So, how exactly did County of Simcoe create and implement this improved app? They looked at the technology they had and leveraged the apps and tools available in their existing GIS platform. 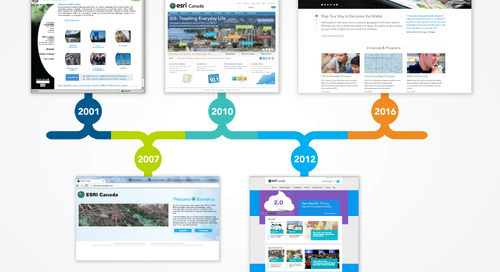 They used Web AppBuilder for ArcGIS, ArcGIS Server, Portal for ArcGIS and various other client tools. On the backend, they set up automated tasks using ArcGIS Engine and MS SQL Server Spatial for increased efficiency. The team also created their own web APIs (REST services) that they could reuse whenever and wherever they need to. Now, how does Simcoe County Maps work? Like any good interactive web mapping app, Simcoe County Maps includes all the standard map controls. However, what takes it from good to great are the various customizations that the team has developed for users. These include what you find on the side panel of the app: the Table of Contents that lists over 75 different datasets, Map Themes, Tools and their sophisticated mark-up tool, My Maps, which are all in one convenient location. The app includes a Table of Contents that lists over 75 different datasets, Map Themes, Tools and My Maps in one convenient location. Depending on what you want to do with the app, you can select to use it as a Basic or Advanced Viewer by clicking a button at the top of the app. The Map Themes also give the user a specific experience without having to leave the web app. The Commercial Real Estate Search Map Theme displays a custom subset of commercial properties in the County that are for sale and presents a panel for searching, finding, selecting and printing or sharing your properties of interest. The web app caters to diverse user groups – from internal staff, to professionals outside of the organization including real estate agents, engineering firms, consultants, delivery companies, residents and visitors, other levels of government and NGOs. Simcoe County Maps is a great example of how you can take existing technology and customize it to your needs. For their outstanding GIS application, the County received the Esri Canada Award of Excellence at this year’s Toronto User Conference. Explore the app and send your feedback by leaving a comment below.